The Cadillac V-series has been around for over 13 years now, and each model that comes out is better than the last. Somehow, Cadillac continues to churn out high-powered vehicles that combine speed and performance with luxury and refinement. And none of that even gets into the surprisingly generous fuel economy or low weights that these vehicles offer. 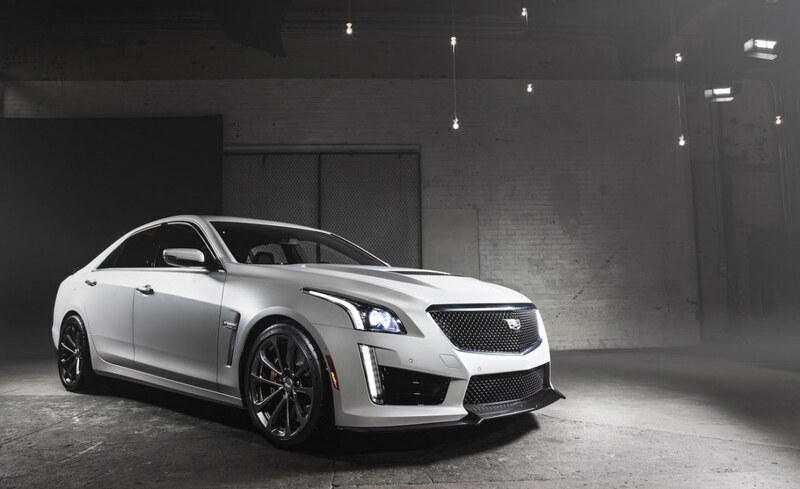 In his Jay Leno's Garage episode dedicated to the CTS-V, Leno remarked, "I love what [they've] done with the brand." And he was right to point out that a shift has taken place for Cadillac over the last several years as they have moved to incorporate sport into its vehicles—though not at the sacrifice of luxury. Of course, the V-series takes that notion to an otherworldly level. Our 2016 CTS-V shares many of its inner components with the Corvette Z06. If that doesn't give you a sense of the capabilities of this car, perhaps a more specific description of the engine will. This supercharged 6.2L LT4 engine is a V8 that achieves an exhilarating 640 horsepower with an overwhelming 630 foot-pounds of torque. The results are just as huge: this car tops out at a speed of just over 320km/hour. The CTS-V also features a wide array of technological and convenience features. A new one unique to Cadillac V-series vehicles is the Performance Data Recorder, which uses a front-facing camera to record your drive so that you can play the video back and rewatch every turn. An SD card slot lets you export the footage and play it using specialized software on your computer, as well. The CTS-V gets out of the factory at 4145 pounds, a remarkably light weight for a vehicle in this class. Since the CTS-V gets 16.6L/100km in the city and 11.1 on the highway, you might be after a different vehicle if you're looking for a commuter based on fuel economy. That said, if what you want is power while not breaking the bank on fuel cost every year, we think that this car is more than reasonable. The CTS has been at the cornerstone of this series ever since the V-series's inception in 2003, but it's important to know that it isn't the only V that Cadillac offers. 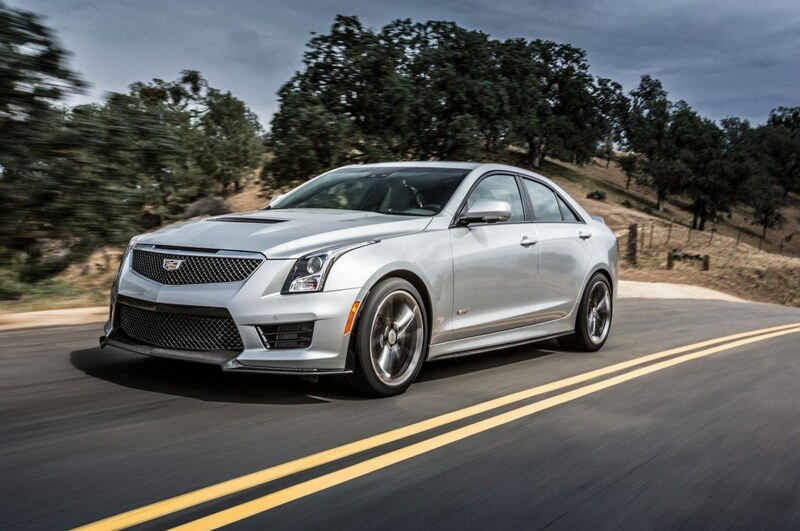 New in 2016 is the Cadillac ATS-V, and both the CTS-V and ATS-V will be back for the 2017 model year as well. The ATS-V may be smaller and lighter than its CTS-V big brother, but all that means is that you can now experience the Cadillac V-series at a lower cost and in a different vehicle that may appeal to you more. Still, the ATS-V has a remarkable 3.6L twin-turbo engine (a V6 with an 8-speed transmission) that outputs 464 horsepower with 445 foot-pounds of torque. Less than the CTS version, sure, but still outrageous numbers that will give you goosebumps should you use them to their fullest potentials. On the subject of numbers, the ATS-V stays competitive as it achieves 14.7L/100km in the city and 9.8 on the highway. That's impressive given the ponies this car puts out. As of the time of writing, we have one CTS-V in stock, which you can find at this link. We also have an ATS-V in stock that you can see by clicking here. If you'd like to get more information on the Cadillac V-series, feel free to get in touch with one of our Cadillac Specialists here at Ontario Motor Sales. You can give us a call at 905-725-6501 or email sales@ontariomotorsales.com to get in touch about either of these models. By the way, we totally recommend the test drive first.